The Parklands team had a fantastic night last Sunday evening at the Gala Final of the Prestige Hotel Awards. 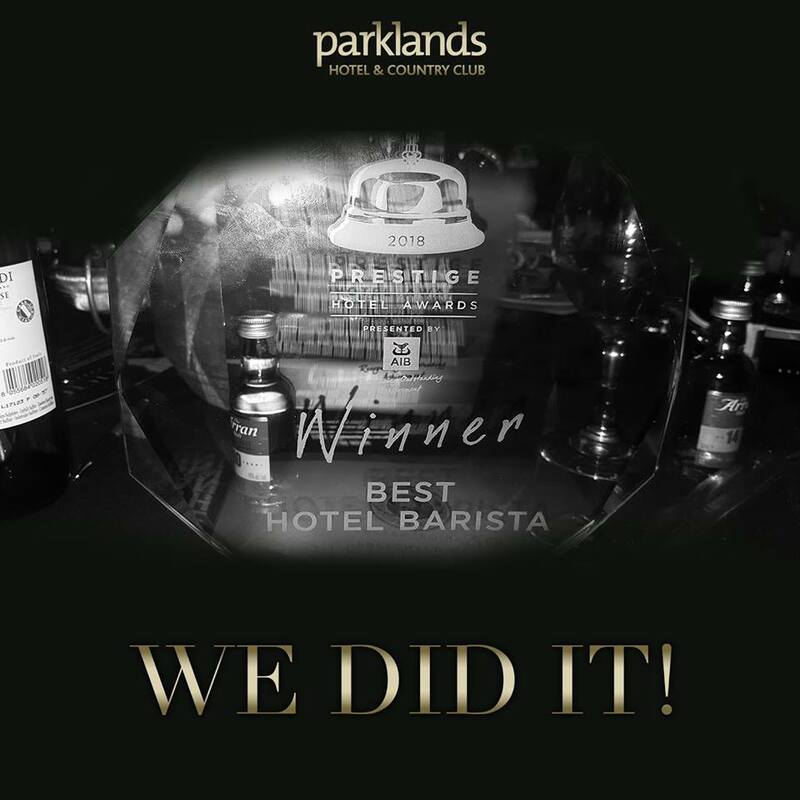 Not only did we party the night away but we also won Best Barista for the second year running as well! We’re feeling mega proud we managed to secure the title for the second year in a row. Thanks to everyone for their support. We couldn’t have done it without you! There were certainly a few staff members who could have done with a strong coffee on Monday morning. Anyone know a good barista?